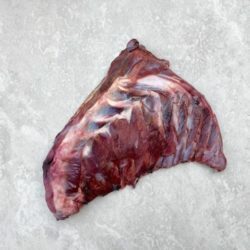 Turkey with bone, Green Lambs Tripe, Liver, Kidney, Heart, Flaxseed Oil, Egg, Kelp, Celery Seeds, Alfalfa, Nettles, Psyllium Husks, Clivers and Wild Yam. 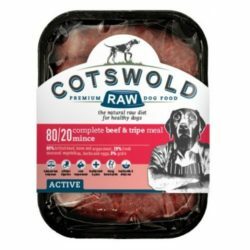 MINIMUM 7kg ORDER ON ALL RAW, TO AVOID DEFROSTING IN TRANSIT. 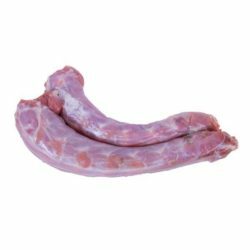 Adult Working Dog Raw Food – 99% meat, bone and offal, 1% botanicals, 0% grain or fillers. Premium raw dog food lovingly prepared by Benyfit Natural. 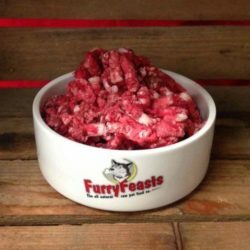 A truly satisfying and healthy meal to assist itchy dogs with a yeast intolerance. This is most often caused by the sugars in vegetables and fruits and, once grain has been eliminated and itching is still persisting, swapping to a vegetable free diet will often stop the excessive itching and scratching. 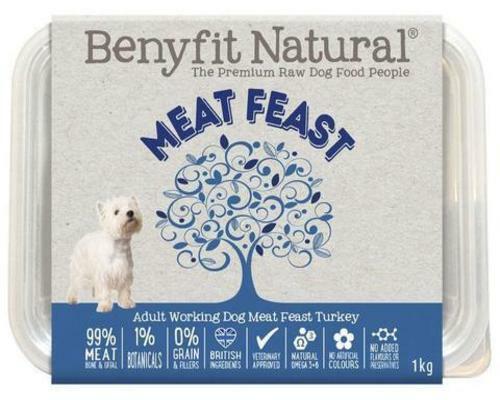 This product is fantastic for anyone wishing to feed a nutritionally balanced diet free of vegetables for any reason and it will result in visible signs of reduced itching & skin irritations, healthy skin, teeth and gums, glossy coat, better digestion and strong bones.